Volunteers discover amazing Karen hospitality! Project KARE has been fortunate to meet new friends and supporters of the Karen community through our social media. In 2015 we assisted and helped to coordinate four visits by volunteers at Mae Ra Moe refugee camp. Amy Thomas and Wayne Lewis – from Build a School Foundation in Australia. Amy and Wayne generated enough donations to deliver lots of school supplies and they brought luggage stuffed with books and teaching tools. 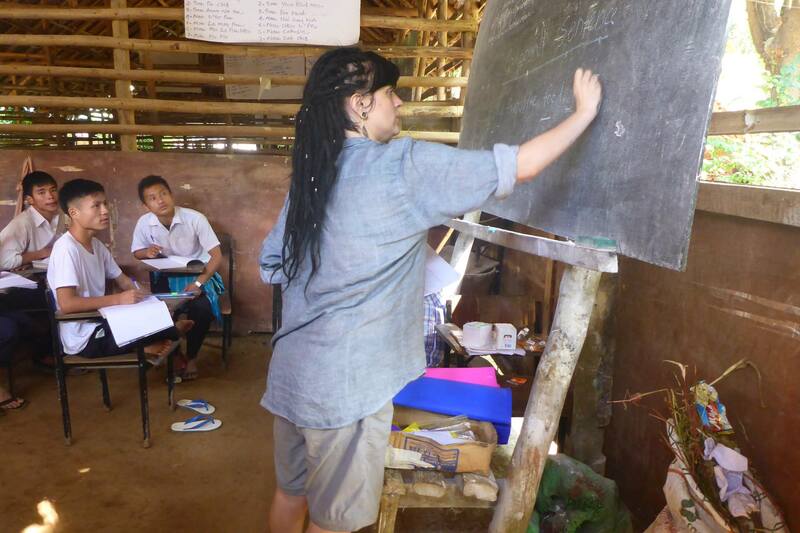 Ally O’Brien – Volunteer English teacher from Australia. 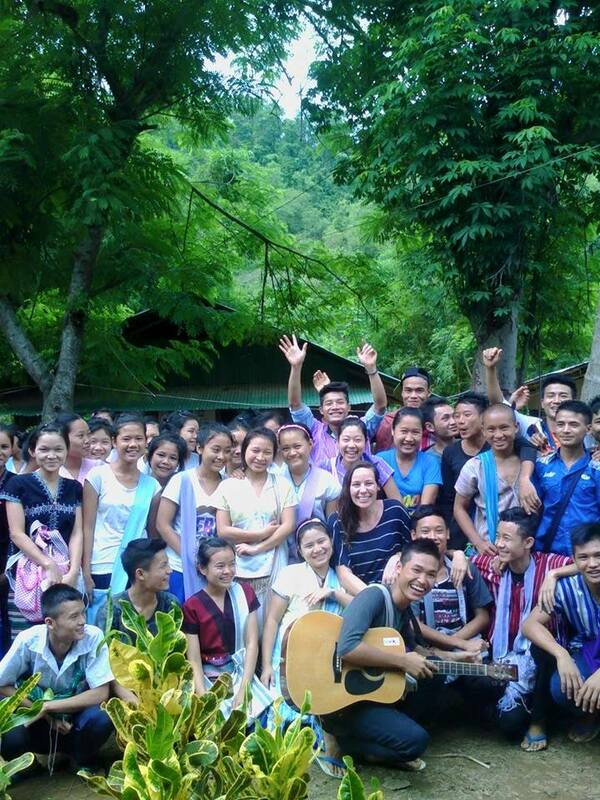 Ally taught English for a few weeks in May and June and she also mentored teaching staff at Mae Ra Moe. Prior to her trip she set up a successful fundraising effort and very generously delivered lots of school supplies to students and teachers. Sabrina Wong – Volunteer Healthcare teacher from Hong Kong. Sabrina braved the monsoon season arriving at Mae Ra Moe in August. She is a medical student and she provided valuable health education for medical staff in camp. 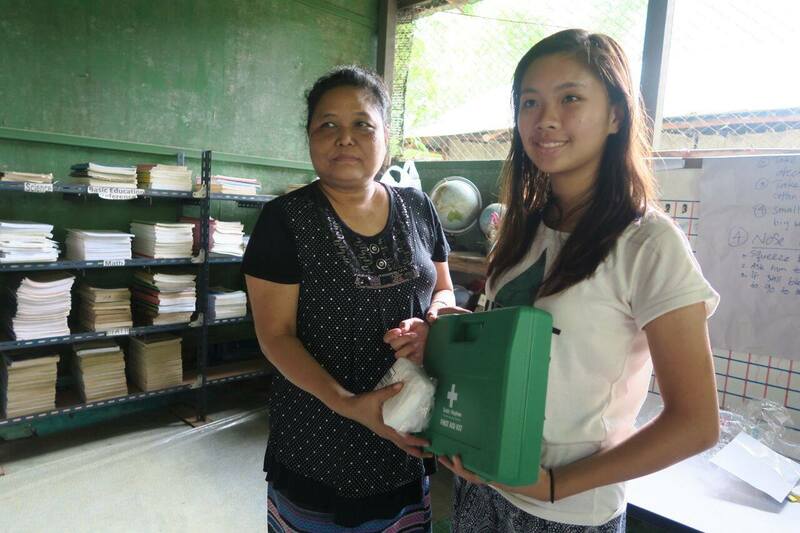 Additionally, Sabrina generously delivered First Aid kits to provide important tools for medical specialists in camp. Carlos Medina – Pastor Carlos assists Karen people in the USA. In August he traveled to Mae Ra Moe where he visited and provided spiritual guidance at camp churches and the bible college too.